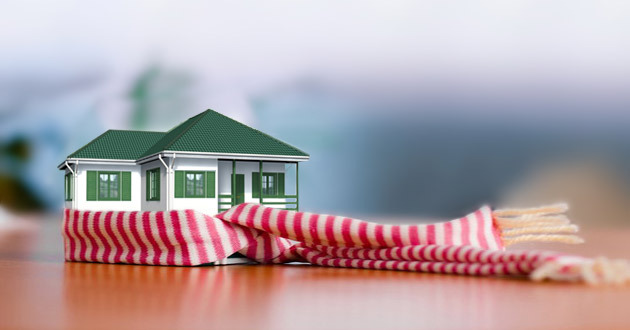 If someone is out looking for homes in the winter season, it is usually a sign that they mean business. So how do you, as the Seller, take advantage of this available market? Start by making sure that the exterior of you home is as warm and inviting as the interior. Bare trees make for a more exposed home, so freshen up the outside of your home by keeping the gutters clean and sprucing up the yard. Keep those leaves raked and the lawn alive. Price your home to sell. Rather than gradually making small price reductions, which could make you look desperate, get with your local & experienced Realtor and properly price your home before you list. This strategy encourages multiple offers! It’s far better to have your buyers competing over your property than having you going back-and-forth over the purchase price, with your prospective buyer. Remove most or all (if possible) of your personal décor. Staging is one time when the maxim “less is more” should be the watch word. If your living room area is a small space, arrange your furniture so that there is ample room to maneuver through and around the room. Group your furniture into conversational zones to make your home feel cozy and inviting. Don’t be stingy with the heat during showings. A warm, pleasant smelling house can go a long way toward influencing your prospective buyers. Crank up the heat, bake some yummy cookies, play soft music, burn scented candles, etc. to set an ambiance that makes your buyer want to move in. As “Winter Sellers” you enjoy an enthusiastic audience with “Winter Buyers”. These prospective clients would not be trudging around in the rain, cold and wind if they were not ready and willing to make an offer on the right property! Make your home the property they want by listing now and following the suggestions above on presenting your home in the best possible winter light. Hope this helps get you that fast sale! Can’t Go Wrong With Our Superheroes!